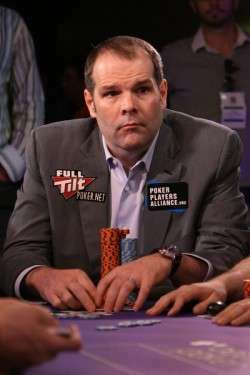 Howard Lederer’s reemergence two weeks ago in extended interviews for PokerNews and 2+2 continues to cause an extended swirl of comment and controversy throughout the poker world. As expected, Lederer minimized his own role inside the workings of Full Tilt Poker, letting the hard-and-fast blame for the irrefutable problems already exposed at the site fall squarely upon Ray Bitar’s shoulders. while dancing around those issues where Lederer himself should bear scrutiny and responsibility. The latest twist in the extended saga cam on Saturday, when Lederer backed out of a planned third interview with the Diamond Flush website. 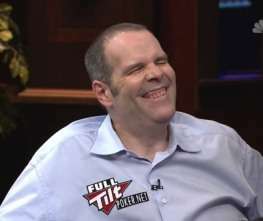 As the DF website — as with its earlier version at Subject: Poker — had been one of the better outlets for leaked, internal documentation about the happenings inside of Full Tilt, the general public expectation was that this was the likeliest of the three interviews for Lederer to trip himself up. After all, Matthew Parvis at PokerNews was hapless in his outing as an investigative journalist, while Adam Schwartz and Mike Johnson at 2+2 gave it a better effort but eventually fell under Lederer’s spell as well. That left the planned Diamond Flush appearance, and I wasn’t at all surprised to see Lederer pull the plug on this one. Nonetheless, readers are encouraged to click that link and give that Microroller blog a well-deserved read. Inside, the blog’s author takes numerous examples from Lederer’s imterviews and compares with them with the basics of conversational manipulation, as detailed in the Rick Ross book, In Sheep’s Clothing: Understanding and Dealing with Manipulative People . I had planned a similar length expose regarding Lederer for a different site, though changes in the way the interviews emerged (or didn’t) rendered that a less workable concept than originally planned. Nonetheless, I’m happy to point out the great MicroRoller piece. Lederer and his sister, Annie Duke, are both masters at image and psychological manipulation; Duke, as an example, even has a degree in psychology, but Lederer is no slouch himself. In his matchups with Parvis and the 2+2 boys he was able to steer many aspects of the conversation harmlessly away from the real truth he doesn’t want exposed — that Lederer was a vital and important cog in the FTP machine, from the company’s founding right up through the seizure and sale of the company’s assets to PokerStars. The last couple of days have seen the pseudonymous Diamond Flush beginning to strike back at Lederer, releasing the first two parts of what’s supposed to be a seven-part expose tying Lederer back to FTP matters through internal documents and the testimony of other sources. Parts One and Two of that have been published as of this writing, but they’re mostly meh. There are a few good facts in what DF has already released, notably that the California LLC that Lederer often cited in his interviews was a manager-driven entity, not an owner-driven one, and that Ray Bitar and Lederer himself were the company’s two designated managers. That alone shows that Lederer’s stating that all the owners wanted this or that or something else is a giant lie — as those in the industry knew for years, Howard was Full Tilt, and what he said was what happened. But Lederer’s deferring the DF interview and then backing out of it at the last moment represented yet another form of manipulation: He kept Diamond Flush, probably in possession of more hard FTP documentation than any other outlet or writer, utterly out of the discussion while the other two interviews went on, where he faced inexperienced interviewers and was free to craft his own version of events as he desired. That’s such a big win for Lederer it’s hard to imagine he didn’t plan it that way all along. Diamond Flush’s first piece (the Part 1 above) starts out with a long-winded, personal attack that reeks of the same amateurism I pointed out in a recent op/ed at another site. It comes off as personal and vindictive, and it belabors an undone deal. Move on, already. But moving on is one of Diamond Flush’s weaknesses. Though she means well, even her best pieces are long-winded, mired in the minutae, and often hard to digest. The first two pieces are far from her best work, combining to offer more than 4,900 words that serve up maybe three or four good points that Lederer can’t deny. The problem is getting there. Most readers just can’t do it. So we’ll wait for now on the rest of the Diamond Flush pieces, and see if she can not only bring it all together, but communicate her summations in something less than a novella. It all has a chance to be darn good, but right now, it’s just not. And because it’s not, as of right now it’s another win for Lederer in his games of manipulation. Perhaps it’s more like a 13-7 score after the first quarter in favor of Howie, but it’s like Tuscaloosa Teachers College visiting Alabama — it just shouldn’t be this close.